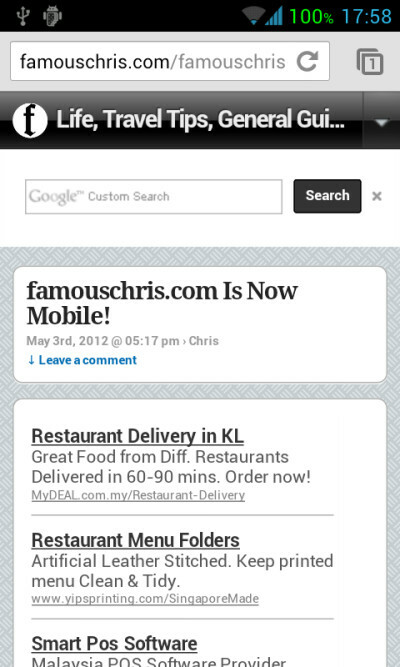 After 6 hours spent customizing the theme, famouschris.com is now fully optimized for mobile devices. Tested with simulators of iPad, iPhone, current popular Android devices, and even Blackberry, everything displayed as it should. Although famouschris.com’s mobile site has been optimized to work best with smartphone devices, I have discovered that even WAP enabled browsers (eg:Opera Mini) from older generation handphones work as well.